Hal Bowman’s Be The One is a research-based, results-driven professional development event that provides educators with the most powerful tools, strategies, and resources available for revolutionizing school and classroom culture. This event is specifically designed for the most passionate and influential educators on campus – both teachers AND administrators. School leaders understand that the single most important factor for determining school-wide success is campus culture. That's why principals and central office administrators have been so quick to register their administrators and teachers for Hal Bowman's The One. 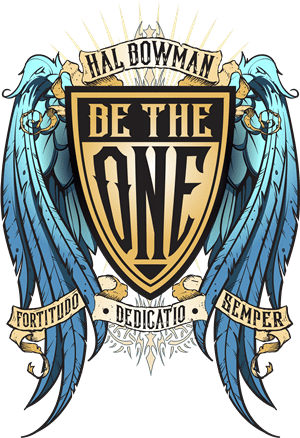 The sole focus of the Be The One event is exactly what you've been searching for: Revolutionizing school culture in such a way that it drives schools to a new level of excellence. 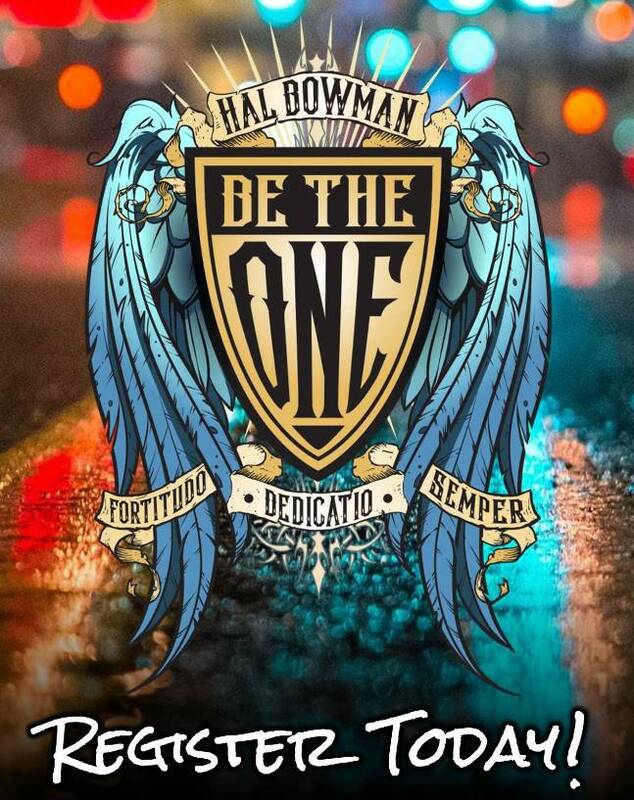 Hal Bowman’s Be The One is exciting. It's dramatically effective. And, it’s all about making great schools even better. Strengthening meaningful relationships between students, teachers, and administrators. Transitioning from a rules-based discipline system to a values-based campus culture with reduced disciplinary escalations and referrals. Documentable reduction in absences and dropouts. Reduction of negative behaviors such as bullying and violence. Significantly improving student academic performance. Higher rate of job satisfaction among teachers and administrators. Increasing teacher retention and improvement in teacher recruiting. All leaders understanding their role as an agent of change in creating the culture of a school. Evolving from classroom and campus management to classroom and campus leadership. Discovering the drive, enthusiasm, and resilience to become the most influential person in the lives of others. Click on an event for information and registration. Absolutely! Just fill out the Be The One Information Request Form and we'll make it happen. 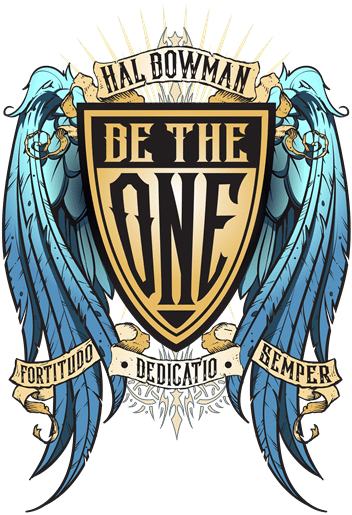 The Be The One event for individual campuses is powerful as it include not just faculty, staff, and administrators, but student leaders, as well. If you loved Teach Like A Rock Star, you'll REALLY LOVE Be The One! It's essentially the same style with the authenticity, humor, emotion, and stories, along with the added benefit of helping educators to use the information, not just to affect their classrooms, but to positively and profoundly impact campus culture, as well. Is Be The One for everyone? Yes, of course. However, please keep in mind that it was specifically designed for those passionate and influential educators - teachers and administrators alike - that truly drive the culture of a school. Be The One is $189 per participant. If you're sending a group, please be sure to give us a call for group discounts. "What's the schedule for the day? What about lunch?" Registration opens at 7:30 AM and we will start promptly at 8:00 AM. Be sure to arrive in time to register and have some coffee and conversation before we get started. We will break for lunch at approximately 11:30 AM to beat the rush. We will have a 90 minute lunch. Our afternoon session will begin a 1:00 PM and will finish by 3:30 PM. Let's make this an official jeans and school spirit shirt day! Dress casually and comfortably. As you know, hotel conference rooms are notorious for being too hot and/or too cold. So, consider bringing a sweatshirt or sweater. If we didn't cover your question above, please don't hesitate to contact us. Call Georgia at (888) 469-3446 x703. Or, simply fill out the form below. "CAN I BRING THIS EVENT TO MY STUDENTS AND TEACHERS?" Simply fill out the Be The One Information Request Form and we'll send you all the details. This event is specifically designed for the most passionate and influential leaders on campus - faculty, staff, and administrators. Just click on an event to register. It's fast and simple. There are some powerful moments in this conversation. Watched the whole video while my son finished up Frozen, then transitioned into Toy Story 3...very inspirational and uplifting! Doing a spectacular job! Kay Shirley I saved the eggs and used them in my class many moons ago! Kids loved them! Michelle Cook Ack! Flashbacks of my waitressing days in the 80s and early 90s! Scarred for life. Shannon PeeBee My size and color!! Yvonne Writes My size and color too! Pamela Ann Omg I remember those! Anita Maynard Odle Hey Patty Sloan you were just talking about these. Ep 52 | Bret Beitler is LIVE!! I had a blast chatting with Debbie about how the Help A Teacher Fb page has empowered people to do amazing things to support teachers. Jason Harmon In NC, good administration is incentivized to leave small schools. Perpetuates a cycle of underperformance. Stacey Sullivan-Hansen Nearest airport is 4 hours away? Someone didn't do their research very well. There is an International airport 1.5 hours away in Great Falls. Julie Anna Then, in NC (especially in rural NC) it’s about who you know... experienced teachers (new to the area) can’t get a call or interview. Patricia Bradford Rylee taught me this lesson! Teachers, you make the world go 'round. 👩🏻‍🏫👨🏾‍🏫🌎❤️ Thank you! #backtoschoolTAG AND SHARE WITH A TEACHER TO SAY THANKS! #backtoschoolCHECK OUT THE NEW "WITHOUT TEACHERS, WE'D ALL BE DUMB CREATURES" T-SHIRT at benhoneycuttswag.com. Free shipping to the U.S. and 10% goes towards supporting local schools! Wow Ben, killer voice! And of course I appreciate your message as a teacher of 38 years......:) thank you! It's so wonderful to see people who appreciate a teacher's work. Some people seem to forget that without teachers, most people wouldn't be where they are. What a beautiful message and a lovely voice too. I'd love to use this song as background for a slideshow for our 1st faculty meeting. Do you have a recording (without video) that you would allow me to use? Thank you, Ben! So wonderful to hear this song! Wish they played it to welcome me back to school. I’m sharing! Love this song, you are so talented. God’s blessings to you always! Thank you for this lovely song. I love your voice. THANK YOU SO MUCH FOR THIS SONG!!!! You get a 💯!! I’m a third grade teacher and I thank you for this wonderful song! Amazing song! Thank you from all the teachers 👩🏻‍🏫 🍎. Worthy of reposting. How I remember those days👌. God Bless our teachers !! Great song! As a music lover, and as a teacher. I appreciate this! Thank you Ben! I ❤️LOVE❤️ this and YES I do hear some Jack Johnson in your voice! Thank you for sharing this I love it. This is adorable!! Anyone hear a little Jack Johnson to his voice??? Amazing! Need to hear more. Debbie Scott is the founder of Help A Teacher – a Facebook community with over 100K members dedicated to providing teachers with supplies, encouragement, and community. Roxana Hare Kayla Dawson Kelley Williams Amy Connelly Smith Amy Harrell this made me think of my teaching friends! Love what you ladies do! I love LOVE her passion! It is so wonderful to see someone that is so passionate about what they do! Congratulations on your accomplishment and the team that you work with!! The excitement and enthusiasm is infectious! What great work and a great way to share with all of us ! On one hand I want to cuddle her for being so adorable, but at the same time I'd bow my head to her vastly superior intellect. I absolutely adore this woman. Her enthusiasm and excitement to share her knowledge and passion with all of us. She truly is contagious with the purest joy. I love her. I love the fact that she’s a)brilliant, and b)sparkly. This type of intellect, passion, and personality are a rarely special gem. Go Katie go! It's awesome to see how her confidence in public speaking has grown since her TED Talk a couple of years ago. She's just brilliant and delightful, and doing great work. I wish her a long and productive career in astronomy. She is so freaking adorable! Look how excited she is! Let's not forget she is brilliant and well-spoken as well! Way to go, woman! I love how excited she is about it. Thank you for your help with this. Amazing!!! How passionated she is!!! Congratulations!!! I love her excitement and drive. I got excited just listening to her. THIS is why I love science. Your excitement and enthusiasm is infectious! Congratulations! Great presentation. You seem so happy and enthusiastic. Great watching and listening to you! What I like from this story is the fact that she is a postdoc and her PI is giving her all the glory, the credit and the public visibility for this amazing breakthrough! You rock Katie! I love how someone did 98% of coding, yet she's only one getting credit. I love her enthusiasm, it's contagious! How amazing this whole experience must be for her! Her excitement has me so giddy. This is the passion we need. So much passion about doing the science and the job! Had I seen it when I were a child, I would have started learning all about astrophysics and physics. I wish I could see more such people. Not even the great Sheldon Cooper could come up with this algorithm. Incredible job and love the enthusiasm for her job. A 29 year old brilliant mind. 2 thumbs up. I love your excitement about this it awesomeness! Audrey Taylor Oh man I feel the weight of this always! I pray on the way to school each day that I will be patient, kind, and a good leader for my kids so that I can be a good example to follow. Tara Kruszka-Herrmann I am so blessed and honored to work with Sam. She brought me in as part of her support team and I can’t thank her enough for the opportunities she has given me. She is such an amazing leader. The way she has changed our school culture has been mesmerizing. To see the change in the kids over the last 4 years is something to be proud of. She handles everything with grace and treats her staff like family. We are a huge family and I am so proud to say that I work with same and the most amazing staff!! Samantha Carson Chizauskie thank you for everything do. I am truly blessed to be able to work alongside you and the great staff at Foxboror!! Ryan Scott Hal Bowman.. my man.. this one made me cry!! Going to use this to spark conversation at staff mtg Monday. Mary Whitworth Baichtal I was part of the staff meeting at Foxboro El and yes, it was inspiring! As we talked about the traits the special teachers had two themes evolved, Fun and Personable. After teaching for 26 years my advice is, be the best you, you can be and have fun! Roberta Emery I teach my Kindergarteners that the reason they come to school is to "learn to make mistakes"! They know that "we learn through making mistakes"...during my eval. observation today, two of the kids starting conversing about that...I made a mistake on the board during a challenge...one of the kids raised her hand and said "You made a mistake." I said, "Aha! You are right! Teachers DO make mistakes!" The kids all laughed and we just continued forward with the rest of the activity. At the end of the acitivity, a little one approached me and said "Can I give you a hug?" I said "Yep!" She looked up at me, smiled and said "You are my best teacher ever!" At that moment I thought, I am her first teacher...and I quickly said to her "Oh honey, I hope you have many favorite teachers!" Thanks Hal Bowman for always making me think! I am fortunate...I truly can name quite a few teachers who impacted my life and pray that my Kindergarteners have many in their journey as well. Gane' Bourgeois Ernesto Araiza!!!!! Can we show this on Monday?!?!?!? Laura Thomas Smith Love this!!! Susan Payne Love this parent!!! Beth Anne Going to try this!! Simply click the button, fill out the form, and we'll send you all the details.